The 12 Justices of the Supreme Court of England and Wales. Lady Hale is the only woman ever to have been appointed to the Court. Photo credit: Fiona Hanson/Press Association. All rights reserved. Imagine this: A senior judiciary of 12 that, in its entire history, has only ever had one woman and where each member is and always has been, white and privileged. A description of Victorian-era justice? No, this describes the judiciary of the Supreme Court in England and Wales in 2017. The all–party law reform and human rights organisation, JUSTICE, this week published an important report on why we must take proactive and immediate steps to increase the diversity of the senior judiciary in England and Wales, and how we might do it. An elitist and homogeneous Supreme Court is not only unacceptable in 2017, but reflects deeper flaws in our justice system and in our constitution. The quality, fairness and legitimacy of judgments is negatively affected by a lack of diversity. Why does it matter if the majority of people who come before the courts differ in gender, ethnicity and background from the people administering justice? Informed and inspired by the JUSTICE report, here are some of the reasons why the quality, fairness and legitimacy of judgments is negatively affected by a lack of diversity, and why this undermines justice. Firstly, bias. Affinity bias (preferring people similar to ourselves) is a deep-rooted human response well recognised by behavioural sciences. Good judges will pride themselves on objectivity, but they are only human. Bias will creep into judgments - obviously reducing their fairness and therefore their quality. A more diverse judiciary would self-correct unconscious (or conscious) bias. Thirdly, a senior judiciary that so obviously does not reflect the makeup of the nation erodes public confidence in the courts. This is a legal, social and constitutional matter. Legally, if a potential court user does not have faith in the process, it's reasonable to expect that they will be less likely to bring a claim or come forward as a witness in a case, negatively affecting the administration of justice. In terms of life aspirations, a normal person is also likely to feel that the law, and almost certainly the judiciary, is a sector that is completely unavailable to them in terms of ambition or career choice. A limited pool of judges must mean that we simply aren’t making use of the available pool of talent. Lack of diversity in the Supreme Court may also contribute to problems on a social and constitutional level. People who are unable to relate to figureheads in the justice system (and of course those at the senior levels in other areas like politics and business, where there are also diversity problems) are less likely to feel heard and represented. They may be less willing to engage or participate in society or in the democratic process. “why are 80 per cent or 90 per cent of judges male? It suggests, purely on a statistical basis, that we do not have the best people because there must be some women out there who are better than the less good men who are judges”. Obviously, the same reasoning applies to Black, Asian, and Minority Ethnic (BAME) people. Diversity must be sought in and of itself. Finally, we must remember that judges, particular senior ones, are very powerful. They not only determine the fate of individual lives, they implement and create the law. 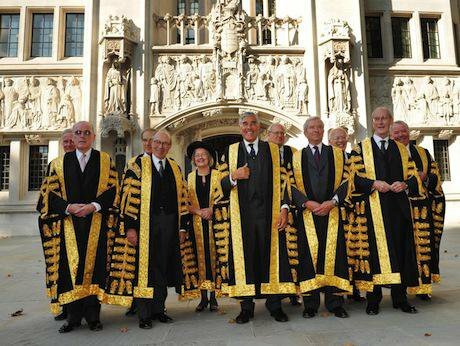 A homogeneous senior judiciary exacerbates the much wider problem that the ruling class in the UK still does not represent the people they serve. JUSTICE makes a number of recommendations to overhaul judicial recruitment, placing diversity at its core. A key part of their recommendation is that the potential pool of judges must be extended from almost exclusively Queen’s Council barristers (of which only 14% are women and 6% are BAME) to sectors not traditionally considered like partners at solicitor’s firms. They cite the importance of setting targets (rather than quotas) and implementing processes that ensure transparency and accountability. The spirit of the report is that diversity must be sought in and of itself. When you look at the huge ramifications that a lack of diversity most likely has on justice and our constitution, it's difficult to disagree.